iHealthSpot Inc. is changing the way doctors and patients communicate by providing leading-edge digital marketing solutions including, award winning medical website design, patient portal and secure bill payment applications, proprietary patient education, and online marketing such as social media management, reputation management, and search engine marketing. Our product enables medical practices to market themselves with dynamic, custom medical websites that include cutting-edge tools for online patient communication, easy updating, effective online marketing, and award-winning, interactive patient education content. Founded in 2007 with its corporate office in beautiful Palm Beach, Florida, iHealthSpot has developed websites and provides digital marketing services for more than 4,000 medical providers across the United States. iHealthSpot’s physician-developed, interactive patient education library and physician-focused digital marketing services have earned numerous industry awards. The company has been voted in the South Florida Business Journal's Top 25 Web Development Companies every year since 2009 and has won three American Business Awards (Stevie's) for Most Innovative Company of the Year and for its multi-media patient education content. In addition, the company won an eHealthcare Leadership award and was a finalist in the Top Entrepreneur Awards by the South Florida Business Journal and won the Top Entrepreneur Award presented by South Florida Business Leader. At iHealthSpot, our seasoned management team has a proven track record for operating successful companies in internet and new media, software and technology development, sales and marketing, financial management, and the medical industry. In addition, our experienced editorial team created the exceptional medical content you’ll find in our award-winning patient education library. Our propriety 4-step process, the 4 D’s, allows us to build you a beautiful, custom website in a fraction of the time it takes other agencies, without sacrificing quality or creativity. From Discovering what you want from your website, to Designing, Developing, and Deploying your site, our websites consistently generate real results, delivering new patients every month. 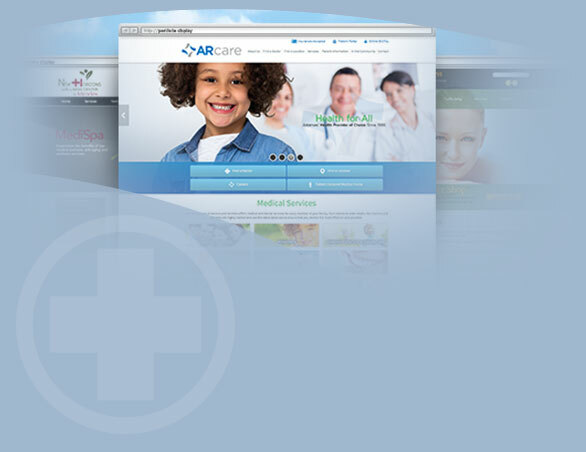 Our visually stunning websites, optimized content, and online marketing services have helped hundreds of medical practices use the Internet to attract new patients, educate existing patients, and streamline operations. See for yourself how iHealthSpot has helped our clients grow and operate their practices.